Thank you to VTLA's Business Partners! VTLA thanks the following businesses who support VTLA and our members. Please refer to these companies for all of your trial service needs when you have a chance and thank them for being an important part of VTLA. For additional information on becoming a VTLA Business Partner, contact Courtney Hammack at 1-800-267-8852, ext. 316, or chammack@vtla.com. JMW Settlements is a national settlement planning firm committed to crafting durable financial settlements for personal injury claims and litigation.Whether retained by plaintiff, defense, or fiduciary, our mission remains unchanged: maximize available value at settlement to help foster full and final resolution of the claim.This has been our guiding principal for over three decades and its effectiveness continues to serve and satisfy our clients today. MediVisuals provides high-quality Medical Legal Illustrations and Medical Legal Animations to attorneys and the legal community throughout the United States and Canada. MediVisuals’ products and services include: Custom Medical Illustration, Custom Medical Animation, Interactive Timelines, Digital Fetal Monitor Strips, Trial Presentation Services, 3D Reconstruction Videos of Client CT Data, Stock Medical Illustrations, Stock Medical Animations, Life-Size Soft Brain Models and 3D Printing. We are physician life care planners in a field in which less than 1% of life care planners are qualified physicians. As practicing M.D.s who specialize in Physical Medicine & Rehabilitation, we possess the requisite expertise to independently formulate and defend recommendations for ongoing medical care.In addition to life care planning, our clients appreciate the convenience of accessing an entire range of related services, all from a single source. We’re the nation’s premier team of physician life care planners, vocational assessment specialists, professional economists, Medicare secondary payer compliance experts, medical illustrators and neuropsychologists. Synergy allows trial lawyers to focus on what they do best by handling the difficult issues at settlement such as lien resolution, Medicare compliance, public benefit preservation, settlement planning techniques and tax deferral mechanisms for contingent legal fees. The combination of the services we provide and the strength of our professionals gives our clients a powerful partner.Synergy is the first integrated settlement services group to leverage the power of a multidimensional approach to completely address complex settlement related matters for trial attorneys and their clients. We have a ground-breaking platform of products, services and tools that make us an invaluable settlement partner. Gary Blankenship has consulted for both plaintiff and defense clients in over 8,000 personal injury cases for structured settlements and personally participated in negotiations nationwide since 1984, developing appropriate settlement plans for all levels of injuries, including those catastrophically impaired such as brain and spinal cord injuries. His expertise includes settlement of most case types including truck and auto liability, medical malpractice, products liability, construction liability, general liability, premises liability, workers’ compensation, Federal Tort Claims Act, Vaccine Fund (HHS) cases, employment and railroad liability/FELA cases. When appropriate, he prepares financial Illustrations of life care plans. Gary associates with other financial experts to provide trusts, life insurance, mutual funds or other investment products when such needs arise. Gary is also knowledgeable in the structuring of contingent attorney fees. Planet Depos, LLC is a global court reporting company, providing best-in-class court reporting, videography, videoconferencing, interpretation, and trial support services throughout the United States and abroad. The Company is headquartered in Washington, DC with 60+ offices around the globe. As a forward-thinking company, we are conversant with the latest technologies and work closely with clients to implement case-winning tools, including streaming text and video, realtime to iPads, mobile videoconferencing, and digital deposition exhibits.At Planet Depos, we are passionate about what we do. We challenge the status quo and exceed the boundaries of our clients’ expectations. We work only with the most elite professionals and handle all the heavy lifting for our clients, without disappointment or unpleasant surprises. Capital Healthcare / Maryland Healthcare Clinics is a leading provider of rehabilitative care for patients injured in motor vehicle accidents. We have been in business for over 30 years. We have 100+ Licensed / Board Certified Medical Professionals/Specialist and currently operate over 50 clinics in Northern Virginia, Maryland and Washington, DC. 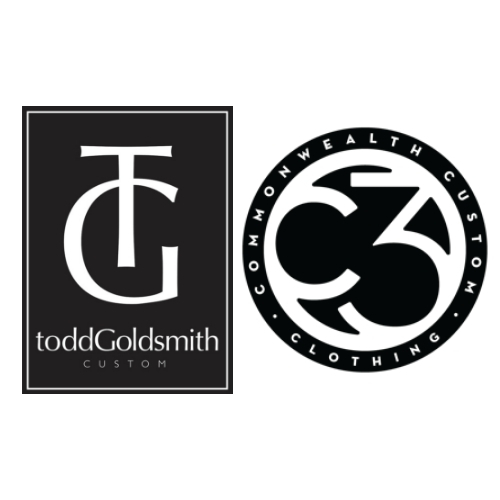 Chad & Todd / The Clothing Experts was founded and built from the single idea that customer service revolves around relationships. With over 20 years combined experience, we understand what is required to serve and build those lasting relationships. Our overall goal is to provide a level of convenience, service and expertise that allows our clients to breath a sigh of relief when it relates to their clothing needs. Time is a luxury and most of us want more of it every day. Our process of meeting at your office or home will provide you with a relaxed atmosphere and enables us to write you a check that reads “Time Saved” which can be cashed with quality garments and a fit that cannot be matched. Since 1938, Counsel Press has been a leader in the legal community as a full-service appellate provider across the United States. Our services allow clients to focus on the merits of their case and we handle document preparation, production and filing or provide further legal resources. DRF Search Solutions is an information search provider serving the legal community since 1973. DRF provides its customers detailed information on drivers, vehicles and insurance verification to assist in accident investigation. Through its Private Investigation Unit, DRF can provide accurate nationwide "person searches", asset checks, etc. Please contact DRF for your specialized search needs. Jury Impressions is a trial consulting company designed to provide busy trial lawyers with affordable focus groups, mock trials, and consulting services by a veteran team. The company was founded in 2005 by Irvin V. Cantor, an active trial lawyer with over 40 years of experience in the courtroom who has conducted over 450 focus groups in his career. Since all of the focus groups, mock trials, shadow juries, and other services offered by Jury Impressions are designed by an experienced trial lawyer, Jury Impressions’ clients benefit from the insight and strategy such experience brings. Jury Impressions has an impressive record of satisfied trial lawyers who have utilized the services of Jury Impressions to conduct focus groups and mock trials in cases resulting in numerous multi-million dollar verdicts and settlements. Pro Digital Forensic Consulting is a full-service forensic data acquisition, analysis, reporting & expert witness service in support of civil & criminal litigation and investigations at the governmental, corporate and private levels. Yount, Hyde and Barbour (YHB) is a leading certified public accounting and consulting firm with 7 strategic locations. Our team combines specialized training and practical experience to provide comprehensive Business Valuation, Fraud Investigation and Litigation support services.YHB offers attorneys a distinct advantage by providing financial competitive intelligence and diverse industry knowledge. AMICUS Visual Solutions is one of America's fastest growing medical-legal exhibit and multimedia litigation providers. With over 15 years of combined experience our team of medical-legal professionals is qualified to provide you with strategic visual solutions for your litigation needs. We work closely with you and your experts to ensure that all important aspects of your case are integrated. From medical exhibits, timelines, animations and interactive exhibits to presentations and litigation support our focus is on providing you with effective solutions for your case. IWP is a specialized workers’ compensation pharmacy service working on behalf of injured individuals. As an advocate for those who have been injured, IWP takes the financial burden out of the medication process by shipping medications directly to the patient and collecting payment from the insurance company. Juridical Solutions PLC provides professional, efficient, and prompt ADR services to help you solve problems and settle your dispute. The retired Judges of JS are committed to being trustworthy neutrals who listen, understand, and respond to your needs. KLDiscovery provides technology-enabled services and software to help law firms, corporations, government agencies and consumers solve complex data challenges. The company, with offices in 43 locations across 19 countries, is a global leader in delivering best-in-class ediscovery, information governance and data recovery solutions to support the litigation, regulatory compliance, internal investigation and data recovery and management needs of our clients. Serving clients for over 30 years, KLDiscovery offers data collection and forensic investigation, early case assessment, electronic discovery and data processing, application software and data hosting for web-based document reviews, and managed document review services. Medical Management Resources, L.L.C. provides medical-legal support and consultative services to attorneys, physicians, insurance companies, and government agencies in a context of personal injury litigation. Our expertise stems from our diverse medical, legal, insurance, and business backgrounds and our hands-on involvement in thousands of catastrophic injury cases. We work alongside our clients to provide specialized medical support that complements their own professional services, while aiming to empower clients with information that maximizes their case objectives. Since 1991, Mednick Associates has provided access to top tier board certified, practicing medical experts in over 150 medical specialties for case reviews, opinions, written reports, and court testimony. Our nursing staff screens all cases and provide expert recommendations at no charge. Managing technology can be a challenge for small businesses and finding a reliable IT support partner can be even harder. With Mode5, those worries become of thing of the past. Mode5?s dedicated staff is here to help build a solid technology foundation from which your business can grow. We have an array of services to meet your needs from cloud computing, local network management and network support, backup and disaster recovery services, IT help desk and more. Precision Spinal Care is a chiropractic office that specializes in treating personal injury. Dr. Packer has extensive post graduate credentials that include spinal trauma, spinal MRI interpretation, spinal bio-mechanical engineering, crash dynamics, medical-legal documentation requirements and hospital qualification. Dr. Packer specializes in soft tissue injuries, explaining injury in minimal property damage claims and age dating disc herniations. Dr. Packer is co-credentialed by the Academy of Chiropractic and by the University of Buffalo Jacobs School of Medicine which makes our documentation admissible and qualifies Dr. Packer as an expert witness in multiple areas for personal injury related cases. VTLA has partnered with SBA Loan Group, LLC to provide low-interest (6.75% or less) Small Business Administration loans to VTLA members. Funding is low cost with few restrictions on how the money is used. Seltek is a full-service technology firm headquartered in Richmond, VA. It offers Digital Forensics, Cybersecurity services, CLEs, and IT services to law firms and other professionals. Voted best IT Outsourcing Provider and best Data Security Provider (Virginia Lawyers Weekly 2017).